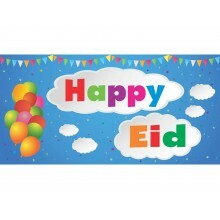 It's time to celebrate Eid, so let's make a statement with this vibrant EXTRA LARGE Happy Eid Cloth Banner. Light weight and with eyelets in each corning for easy hanging. 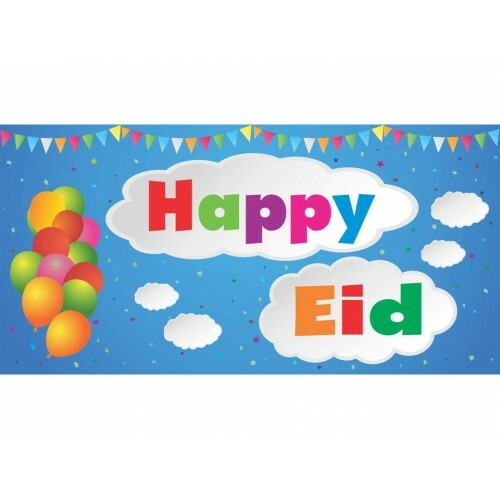 Perfect for at home, schools, mosques or anywhere you want to say it's Eid.